After a tumultuous history of protests, arrests and community pushback, the redevelopment of the Long Island College Hospital (LICH) campus in Cobble Hill, Brooklyn, into a luxury community is moving full steam ahead. Now named River Park, renderings for the development’s final tower, 5 River Park, have been revealed via New York YIMBY. 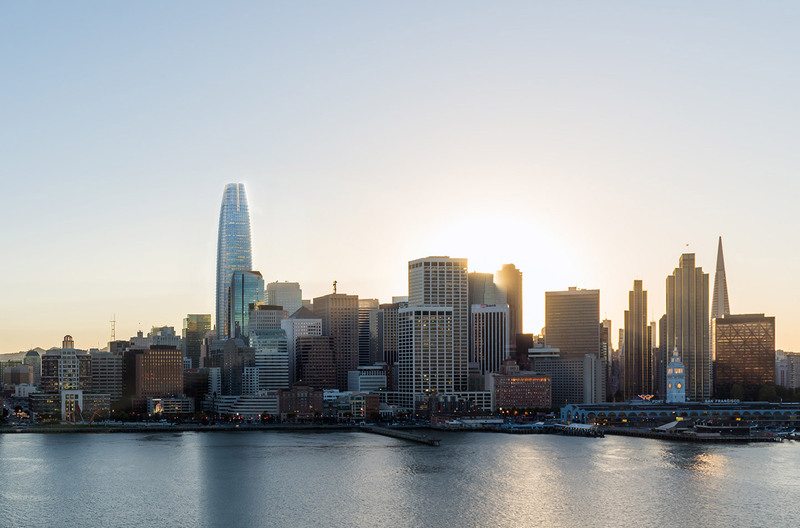 Romines Architecture PLLC is designing the 91,000-square-foot tower. Split into two volumes, the 15-story tower will hold 30 condo units atop a lot-spanning ground floor lobby and parking area. As originally reported in 2016, owner Fortis Property Group had opted to build out the former LICH site as-of-right, forgoing a rezoning that would have required the company to build affordable housing in exchange for denser development. 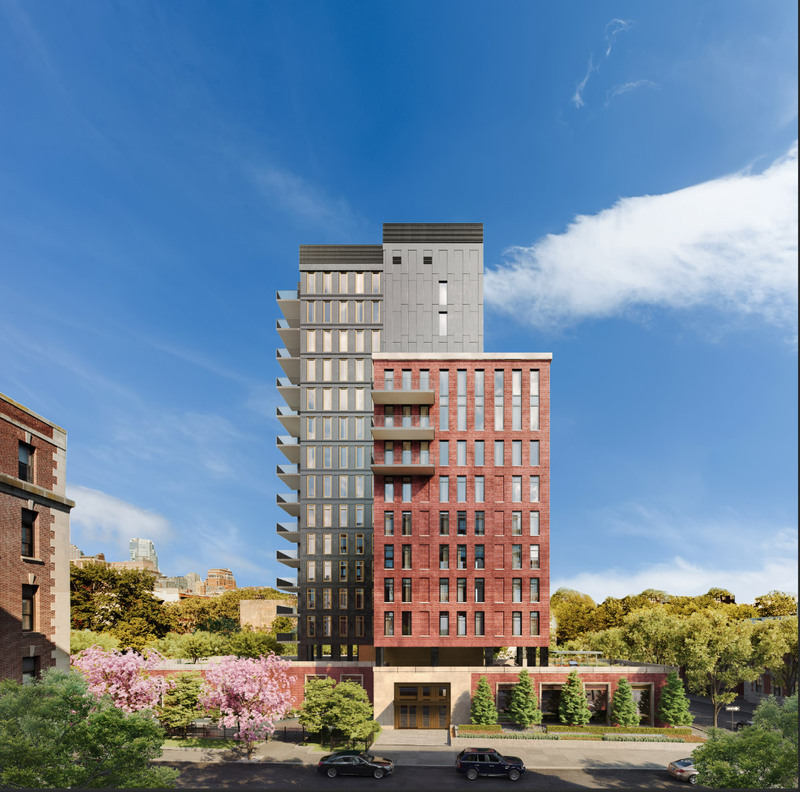 Now, as shown in the project’s master plan, Fortis has moved ahead with plans to build five new market-rate residential buildings throughout River Park, and retrofit the landmarked Polhemus Building and nearby townhouses into luxury housing. As part of the first phase, which is ongoing, the Polhemus Building, an 1897 Beaux Arts “hospital skyscraper” and part of the hospital there until its closing in 2008, is undergoing an exterior renovation and interior redesign by BKSK Architects and will eventually hold 17 condo units. 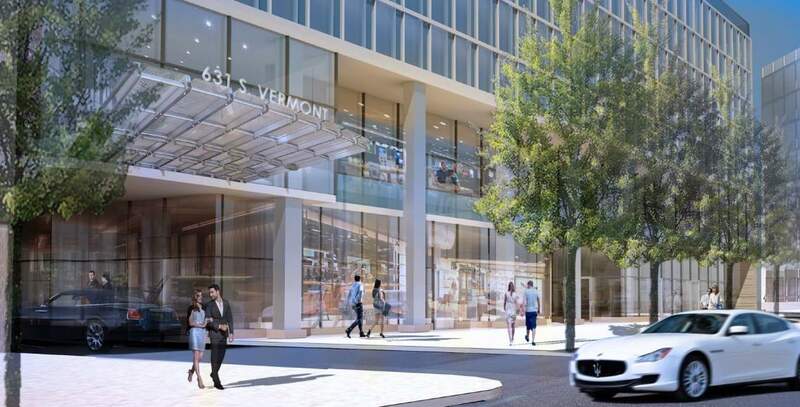 The second phase is the most contentious part of the redevelopment, as the five planned towers will bring hundreds of high-priced units to the neighborhood. 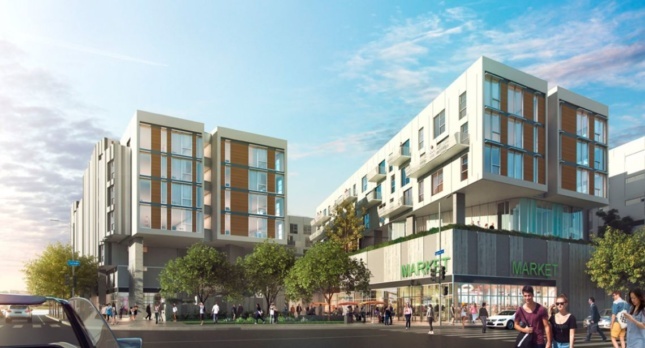 A different architecture firm has designed each, as Fortis wants River Park to be seen as a “new neighborhood” rather than a cluster of residences. Information on 3 and 4 River Park has yet to be released. FXCollaborative (formerly FXFowle) is designing the 15-story 1 River Park at 350 Hicks St., which will hold 48 apartments ranging from studios to penthouses. 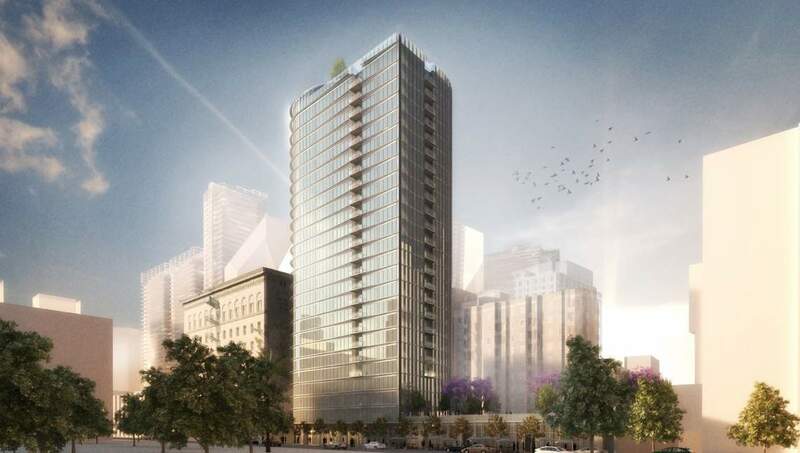 While no renderings have been released yet, the building will have an outdoor pool, gardens, and something called an “amenity pavilion.” Hill West Architects will be designing the tallest of the River Park towers, as 2 River Park, or 339 Hicks St., will top out at 440 feet tall. While the exact number of apartments included in the complex hasn’t been made public yet, a rooftop garden will be available for residents that will offer sweeping views across the East River into Manhattan. The design fully plays up the site’s proximity to the river, as Fortis notes it “is composed of a strong masonry tower acting as the 'mast,' supporting the 'sail,' a west-facing glass screen that curves like the headsail on a yacht.” Fortis has described the design of 5 River Park as contextual, stating that it uses “a palette of traditional materials common to Cobble Hill, including brick, limestone and elaborate metalwork.” The shorter half of the building will also be clad in traditional brick in contrast to the more modern, dark-grey concrete of the taller half behind it. Construction on 5 River Park is ongoing. It remains to be seen where a healthcare facility run by the NYU Langone Medical Center will be relocated to; the continuing operation of the center, with its freestanding emergency room, must be included by Fortis as part of a settlement reached with the city. Construction in the area is expected to finish in 2020. New York-based ODA Architects and developer All Year Management have released renderings for their latest project in Brooklyn, a five-story, 100-key hotel already under construction in Crown Heights. Reminiscent of M.C. 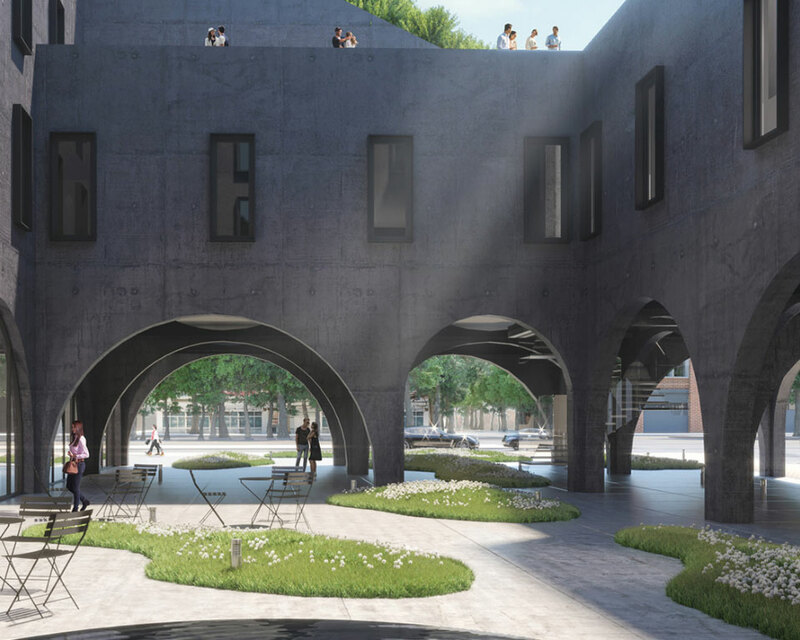 Escher’s Ascending and Descending, the hotel at 1550 Bedford Avenue will feature a looped, sloping roof that encircles a central courtyard at ground level. The most prominent feature of the 38,000-square-foot project, christened the Bedford Hotel, will likely be the ring of archways that completely wrap around the building’s base. In creating a porous entryway, ODA tried to encourage curious passerbys to enter and make use of the public plaza, as well as openly explore. Outside of the hotel portion of the building, a banquet hall, retail options, and restaurants will all be publicly accessible. A rooftop bar and several “floating gardens” are also planned for the cascading roof. While the hotel’s defining arches may seem out of place in a neighborhood filled mainly with brownstones, row houses, and historic brick apartment buildings, ODA has tried to nod towards the masonry-heavy vernacular of the surrounding area by cladding the building in dark stone. Inside, the suites are more in line with what might be expected of a trendy hotel, as lightly colored wood wraps the sinuous interiors of the seemingly smaller hotel rooms. ODA explained that this is to "hug residents and guests with curved edges that allude to the building’s bent shape." ODA is on a tear lately, and 1550 Bedford Avenue recalls their similarly shaped 10 Montieth Street project in Bushwick. Although the circuitous, tweaked roof is similar, the Bedford Hotel will hopefully prove more open to the rest of the neighborhood than its hulking predecessor. As CityRealty noted, this section of Brooklyn is lacking in hotel space, and the previously vacant plot that the hotel is rising on was only zoned for commercial development. Although permits for the project were initially filed in July of last year, construction has only recently begun. Owing to the area’s proximity to Prospect Park and several subway lines, the neighborhood has become a hotspot for development in recent years, and the Bedford Hotel will ultimately sit across the street from the controversial Bedford-Union Armory. 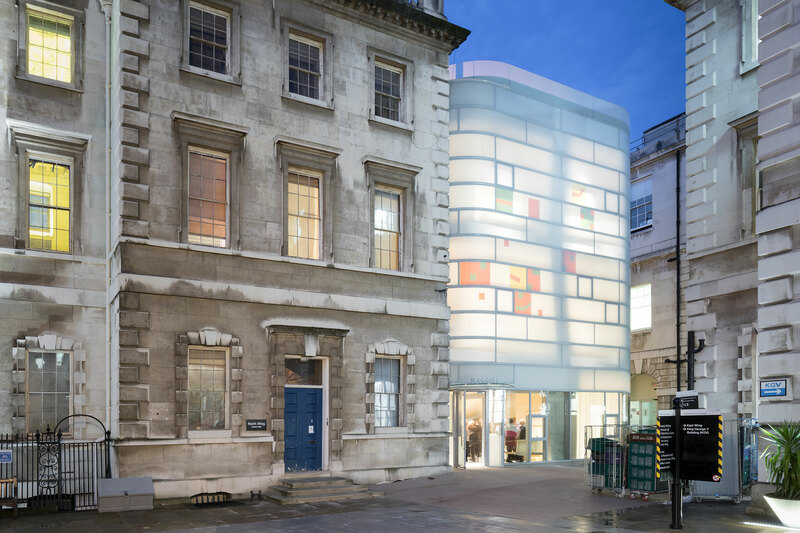 After an arduous journey, Steven Holl's Maggie's Centre is finally open. The new $10 million London care center, as with all Maggie’s Centres, will offer free emotional and practical support to cancer patients. This particular center, however, was marred by controversy—not something you would expect from a building designed to help sick people. The center is the latest for Maggie's, the charity founded by Charles Jencks in 1995 after his wife, Maggie Keswick Jencks, died of cancer. The couple believed in the uplifting power of architecture and have since installed more than 20 centers across the world, the majority of which are in the U.K. Nestled into a neoclassical enclave on the grounds of St. Bartholomew's Hospital in central London, Holl's Maggie's Center very nearly never happened. For his design to be built, a rudimentary brick building from the 1960s had to come down. But that wasn’t the issue. Instead, the project’s adversaries argued that the new center didn’t connect with its surroundings. This is nothing new with Maggie’s Centers across the U.K., even though Jencks has previously enlisted architecture’s A-list to design the structures, which are independent from nearby hospitals. Jencks has tapped Norman Foster, Frank Gehry, Zaha Hadid, Richard Rogers, Rem Koolhaas, and soon Daniel Libeskind, with a center in Hampstead. A page from Charles Jencks’ The Architecture of Hope: Maggie's Cancer Caring Centres shows the site plan of all centers (before Holl’s was built). Here we can see green cytoplasm shrouding the Maggie’s Center nuclei; almost all the centers are one story and are surrounded by a protective grass lawn. On such a tight site, there was no room for greenery, on the ground level at least. The first Maggie’s Center to reach three stories, Holl’s design incorporates a roof garden overlooking a centuries-old quadrangle that includes the 1740s church of St. Bartholomew-the-Less. In a recent lecture at the World Architecture Festival, British architect and planner Sir Terry Farrell referenced Frank Gehry’s center in Dundee, Scotland (full disclosure: I work in communications at Farrell's firm). He argued that the building exacerbated the dichotomy between the brilliantly designed and the under-designed. 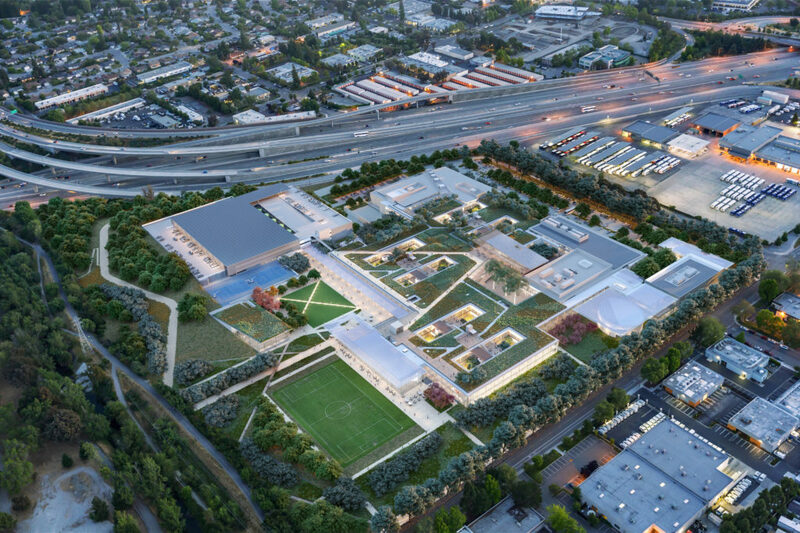 Who wouldn’t want a pristine lawn to protect from the encroaching drab contemporary hospital vernacular? At St. Bartholemew’s, which is Europe's oldest hospital, such banal healthcare architecture cannot be found. Despite this, Holl's Maggie’s Center is at peace with its neighbors. After calls for modifications, the center shares a basement, toilets, and elevators with the adjacent 18th century Great Hall, a landmarked work of architect James Gibbs. Even these changes were nearly not enough. Holl's design scraped through the second round of planning by one vote and even after that, a lawsuit was filed against the planners. "I flew in from New York and they gave me three minutes in a courtroom. That was it!" Holl recalled, laughing. Wrapping the building is a facade that at night reveals the squares of color embedded, offering a hazy glow. During the day, this color palette is significantly muted and the glass skin is more of a misty gray. Outside, visitors can also see a rounded corner design, which is mirrored inside by a bamboo staircase that traces the perimeter as it winds upward. Holl calls this the “basket” and a “vessel within a vessel within a vessel,” a reference to the concrete structural shell that lies between the glass and bamboo. No attempt has been made to hide this structure, and the result is a pleasing display of both tectonics and tactile design in harmony. According to the Holl, the glass is a new invention. Comprising two layers of insulation, the embedded color film channels light out at night and blurs it during the day. The colored squares are also a reference to Medieval music's "neume notation." “It couldn’t be glossy!” exclaimed Holl. “There are too many glass buildings today.” The architect continued: "Jencks thinks I'm a postmodernist, however, this building is for architecture a manifesto for the expression of materials; [it stands] against everything pomo was." “In my 40 years of practice, this is one of my favorite buildings I’ve ever done,” Holl said. When the Georgia Dome opened in 1992, its Teflon-coated fiberglass fabric roof was considered a modern marvel, stretching more than 395,000 square feet and weighing just 68 pounds. Atlanta's domed stadium hosted an impressive roster of sporting events in its 25 years of use, including three NCAA Men's Final Fours, two decades of SEC championships, two Super Bowls, two NBA seasons and an Olympics. Today, its new sibling, the Mercedes-Benz Stadium, offers perhaps more impressive engineering accomplishments and promises to draw impressive sporting events to the city. Completed in August 2017, the multi-purpose venue is officially the first LEED Platinum-certified professional sports stadium in the United States. Among other industry-leading features, Mercedes-Benz Stadium is notable for its kinetic roof structure. While other stadiums with retractable roofs must allocate additional land for the entire roof assembly to open horizontally off the stadium, Mercedes-Benz Stadium offers an innovative space-saving solution by breaking down the geometry of the roof into eight triangular petals which retract in a radial fashion. The petals are composed of three layers of ethylene tetrafluoroethylene (ETFE) membrane fabricated into air-inflated “pillows” involving more than 143,000 square feet of membrane. The lightweight material was selected for its durability and translucency. Each petal cantilevers approximately 200 feet inwards towards the center of the stadium on 16 secondary trusses which spring from four 720-feet-long primary steel trusses. This primary steel frame spans to concrete “mega-columns.” Nested within the steel framing of the oculus is the world’s largest media wall, an immersive six-foot-tall, 360-degree HD display covering over 63,000 square feet. Unrolled, the video board would stretch three football fields long. HOK worked with an integrated team of engineers from the start, coordinating information with a robust digital toolset that included digital modeling software. Custom algorithms and parametric modeling tools integrated the stadium’s complex geometrical layout with tens of thousands of pieces of information about the roof structure and its behavior and movement during various load scenarios. 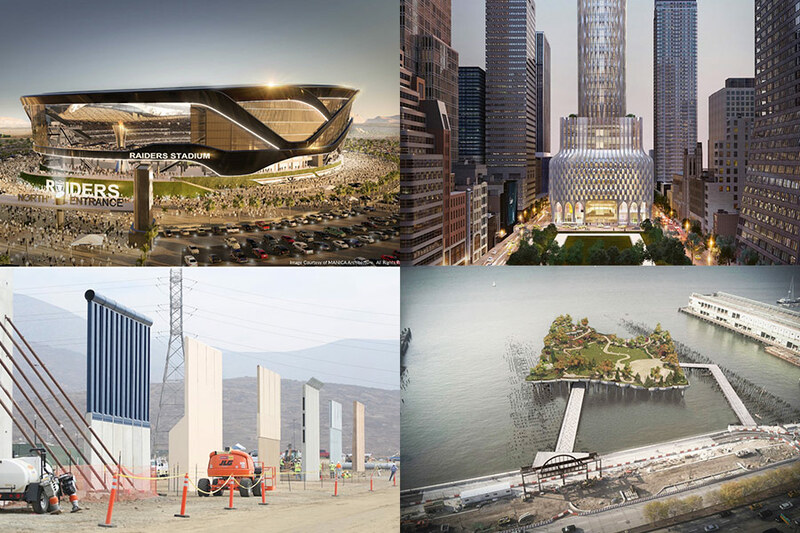 The project ultimately generated over 18,000 sheets of steel shop drawings, and during peak fabrication involved 32 factories in the U.S. and Canada making and delivering steel pieces simultaneously. The facade of the project is composed of insulated metal panels and a transparent ETFE facade, which has been marketed as a “window to the city” offering seamless visual connection to the surrounding context. ETFE in the wall assembly was fritted in a range of coverage from 20 percent to 70 percent in response to solar orientation. The composition of the angular wing-like wall panels abstractly reference the stadium’s National Football League team, the Atlanta Falcons. Beyond the Falcons, the stadium flexibly hosts Major League Soccer franchise, and is expandable for major events that the Georgia Dome used to host–Super Bowls, NCAA Final Four Basketball tournaments, FIFA World Cup matches, and major concerts and performances. To accomodate geometric differences between a soccer pitch and football field, lower level seats are retractable and an automated curtain system attached to the roof structure comes down to bring soccer fans close to the pitch. Several impressive planning decisions beyond the facade contributed to the stadium's LEED Platinum certification. Design elements of the building envelope which contributed to the stadium’s LEED Platinum certification include integrated rooftop solar panels, improved daylighting from use of ETFE, and passive cooling benefits from the retractable roof. Gus Drosos, technical principal of HOK's Kansas City office, said the consistency of the attachments of the ETFE system throughout the project and detailing of complex corners were specific successes of the building envelope design that offered valuable insight into working with ETFE and might carry over into future ETFE projects. 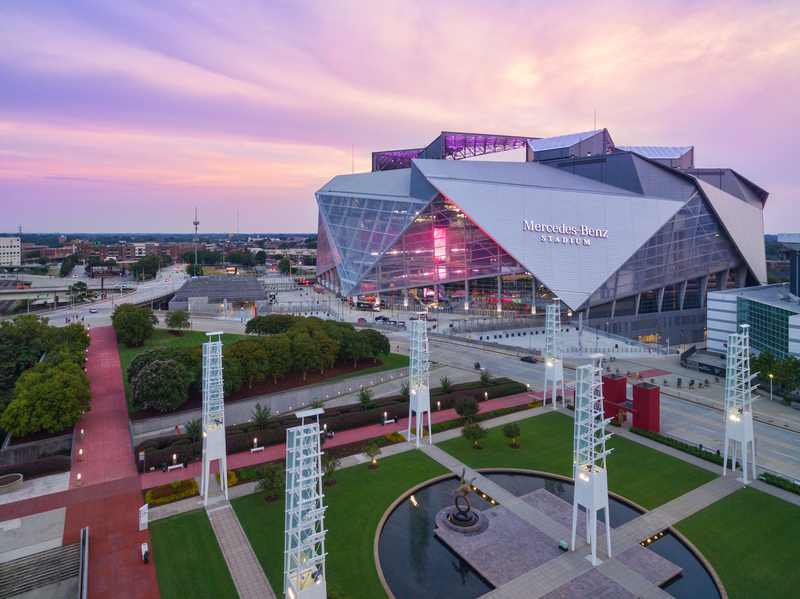 Additional insight into the design and construction of Mercedes Benz Stadium will be offered at the upcoming Facades+ Atlanta, where a panel of architects from HOK, EcoWorks Studio, and tvsdesign will deliver presentations in a session titled, "Designing MBS: Secrets of the Mercedes Benz Stadium." For more information on the Facades+ conference series, along with registration information, visit Facades+. Just in time for the cold weather to set in, a new trend in urban entertainment is heating up: rooftop ice rinks. The Watergate Hotel in Washington, D.C. will open a skating rink and lounge on November 16, giving guests and visitors another reason to visit its rooftop bar and a new way to take in views of the nation’s capital, 14 stories above the street. 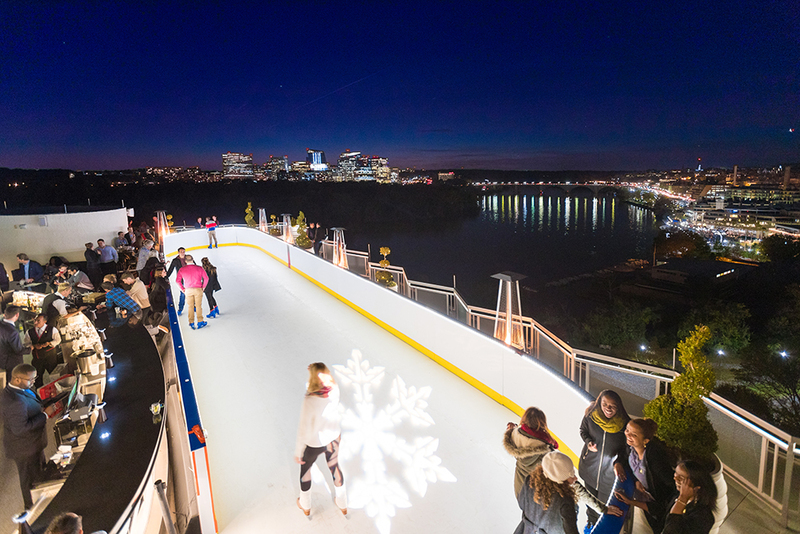 “There are other skating rinks in the District of Columbia, but there isn’t another hotel in D.C. that has a skating rink on the roof,” said Debbie Johnsen, the hotel’s digital marketing director. The hotel's management team was looking for a way to attract people to its Top of the Gate rooftop bar during the winter months, and decided adding a rooftop rink would do that, explained general manager Jeff David. "We were brainstorming about how we could keep the popularity of the Top of the Gate going–how we could extend it for 12 months of the year," he said. "This was almost a no-brainer." Becoming a popular ice skating destination is perhaps an unexpected direction for the Watergate, which is known for its association with the 1972 break-in of the Democrat National Committee headquarters in the adjacent Watergate office building. The hotel marks its 50th anniversary this year, after closing in 2007 and reopening last year following a $125 million, six-year renovation. The hotel's oval rink, called Top of the Skate, measures 70 by 20 feet and can accommodate 40 to 50 skaters at a time. Open during the winter months, it offers views of the Potomac River and the city’s monuments while patrons enjoy S’mores, mulled wine, and German-style pretzels in the lounge. The rink also features a skate-up bar so guests can order a drink without leaving the ice. The Watergate’s rink is the latest in a series of rooftop ice rinks that are opening around the world, often as part of hotels. These rinks constitute a new trend aimed at rejuvenating cities by giving people another reason to come downtown in the winter months, when tourists tend to visit in fewer numbers. 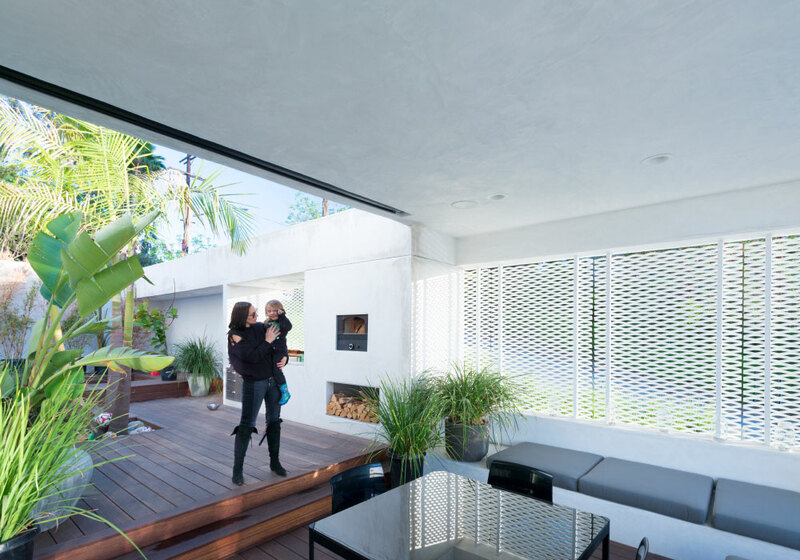 They also represent a relatively low-cost, creative use of previously dormant urban space. Their appeal is unmistakable; they combine two things many people like: skating rinks and rooftop bars. For patrons, they offer vistas that ground-level rinks don’t have and a new way to socialize, combining entertainment and exercise. For hotels, rooftop rinks are photogenic and provide a new experience to draw patrons. They’re ideal settings for “selfie” moments that can later be posted on Facebook, further promoting the hotel. The Watergate even has an ice skating package, which includes skating and skate rentals and a reduced room rate for skaters who want to stay overnight. Some rooftop rinks are made with real ice. Others, including the one at the Watergate, are made with synthetic ice, composed of interlocking polymer panels designed for skating with conventional metal-bladed ice skates. The synthetic ice panels don’t add as much weight to a roof as actual ice would and require less maintenance. They can also be installed in a relatively short time and dismantled when the season is over. Europe’s highest rooftop rink opened last winter atop the 354-meter OKO tower in Moscow’s commercial district. London got its first rooftop rink on November 2, when Skylight London opened at Skylight Tobacco Dock in East London. Located on the 10th floor of the Penning Street parking garage, where a croquet court was, the rink doubles as a rooftop bar, complete with cocktails and chocolate fondue. In Toronto, a division of the Molson Coors Brewing Company built a temporary, 100-foot-by-45-foot rink atop a 32-story office building for winners of its #AnythingForHockey contest in 2015. There was so much interest the rink was later opened to the public for group bookings, but it was eventually dismantled. Other rinks prove that winter temperatures aren’t a requirement to enjoy this amenity. Las Vegas has The Ice Rink at Boulevard Pool, a 4,200-square-foot rink on the roof of The Cosmopolitan Hotel, where skaters can take in views of the Strip from four stories up. Construction also began this month on Atlanta’s Skate the Sky, a 3,500-square-foot rink 10 stories above Ponce City Market on Ponce De Leon Avenue. Capable of holding 90 to 100 skaters at a time, it’s scheduled to open November 20. “I don’t think there’s another rooftop skating rink anywhere in Atlanta or maybe even in the Southeast," Brett Hull-Ryde of Slater Hospitality, which will operate the rink, told Fox5 in Atlanta. “We’re happy that we’re getting this opportunity to show people another way to have some fun."